What’s your baseline? And where do you want to be? Bianca realised she needs to stay on top of her her game by watching her baseline and keeping fit and healthy. Now, everyone knows that we should eat better food, move more and generally look after ourselves better. And look, we get it – change is hard, and it can be easier just to carry on with things the way they are. But February is a great time of year to assess your health. Christmas is over, kids are back at school, and the work year is back into full swing. The social calendar is settling back down to a normal level and weekly routines are resuming. So many of our clients come to us confused and overwhelmed by all the conflicting food, exercise and wellness advice they hear in the media and from their social circle. It can be hard to know what is accurate or what is right for their individual case. Thankfully, our clients have taken the first step of breaking out of this cycle by booking a DEXA scan and getting a baseline. 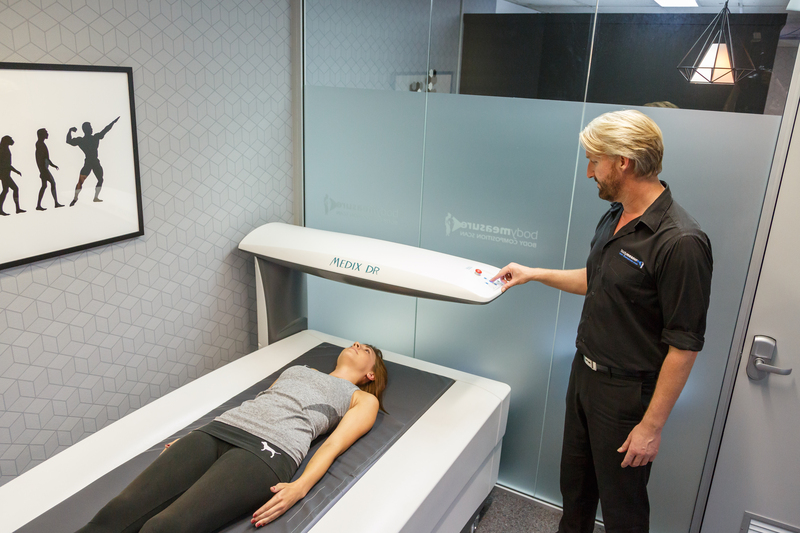 With our scans, we can provide you with a true picture of your health, not just your weight. We provide you with a breakdown of fat tissue versus lean muscle mass, and valuable insight into where your body is storing that fat. The health implications of hidden abdominal fat can be fatal, so getting a true picture of your inner health is a very effective motivator for change in a way that doing up your jeans or looking good in a bikini might not be for some people. Did you know that the Body Measure DEXA scanner is the only model in the world where you can actually see your visceral fat? What to expect from a DEXA scan? Getting a DEXA scan is simple and non-invasive. Unlike old fashioned, and often inaccurate skin fold testing you are fully clothed for the scan. We’ll get you to remove all metal from your body, then lie on the DEXA table, where the scan takes about five minutes. Our clients find this process extremely valuable and highly motivating towards their body composition goals. So you’ve had a scan, what next? We find that nutrition and exercise is not a one-size-fits-all proposition. All bodies respond differently, and with a follow up scan you can see how your unique body is changing and assess if further tweaks need to be made to get you results, rather than being frustrated by your progress. So, what are you waiting for? Book in now and make this February fabulous!